Develop and promote sound stewardship of wildlife resources and their habitats. Increase public awareness and appreciation of wildlife values. Promote the highest standards in all activities of the wildlife profession. We host and sponsor conferences, workshops, and meetings featuring scientific presentations and discussions involving wildlife. We publish a quarterly newsletter, “Intelligent Tinkering”. We evaluate and respond to proposed or enacted societal actions that affect wildlife and their habitats. We have active committees that develop science-based position statements. We recognize outstanding achievement among wildlife professionals and students. We express Chapter opinions at local, regional, and national meetings. Meet the Executive Board and view a list of our Past Presidents. Please click here to download Bylaws of the WCTWS. The WCTWS has a number of committees members can get involved with. Please contact a committee chair(s) for more information. The WCTWS gives out a number of awards, scholarships, and travel grants to Chapter members each year. Learn how to apply. The Floyd Bjerke inheritance was an unexpected and unique gift given to the Wisconsin Chapter of The Wildlife Society (Chapter) in 2006. The sum of money is considerable for an organization like the Chapter. The gift affords the potential for long term financial participation in a variety of worthy projects that can advance the profession of wildlife biology. Read more details here. Wisconsin is blessed with a rich history of conservationists including Aldo Leopold, widely recognized as the father of our profession. The “shack” is a depiction of the old chicken coop Leopold and his family purchased in Baraboo. It was here where Leopold developed and put into action his land ethic. The WCTWS strives to “follow in Leopold’s footsteps”. A Memorandum of Understanding (MOU) has been established between the Wisconsin Chapter of The Wildlife Society (WCTWS) and the Aldo Leopold Foundation (ALF) for the purpose of providing a framework for cooperation and coordination between ALF and WCTWS, specifically in relation to WCTWS’s use of the logo that incorporates the Leopold Shack, towards achieving the mutual goal of fostering an ethical relationship between people and land. Click here to view the MOU signed in 2008. Please click here to download the WCTWS brochure. Finding yourself with too much money left at the end of the year? Needing a tax write off to help you out? Filling out your will and looking to divide your estate up to good charitable causes? Don’t forget the Wildlife Society at this time. The Wildlife Society is designated as a 501.3 scientific/education entity under the IRS Code. 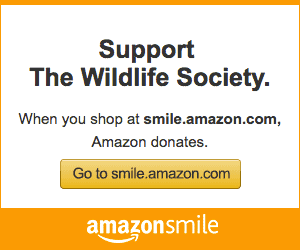 This will allow you to gain tax deductions when donating to the Wildlife Society. If interested, please contact our current treasurer.